Monthly home sales and market reports covering year to date home sales (and prior years) in Southwest Florida including Bonita Springs Estero & Naples FL. Featured Naples, Bonita Springs and Estero communities including Grandezza, Pelican Sound, The Brooks, Mediterra, Pelican Landing ….and more. 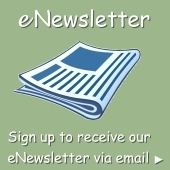 Sign up today to receive monthly Newsletters by email with direct links to all the reports. Or send me a text to be added to my mailing list.